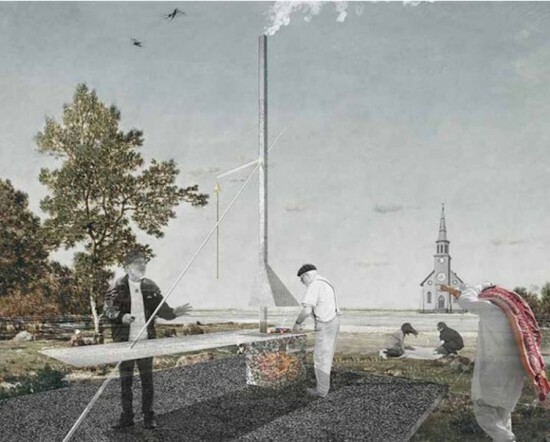 The 18 winning projects shortlisted in the Field Constructs Design Competition flag a range of pressing socio-environmental issues through whimsical takes on interactive public art. 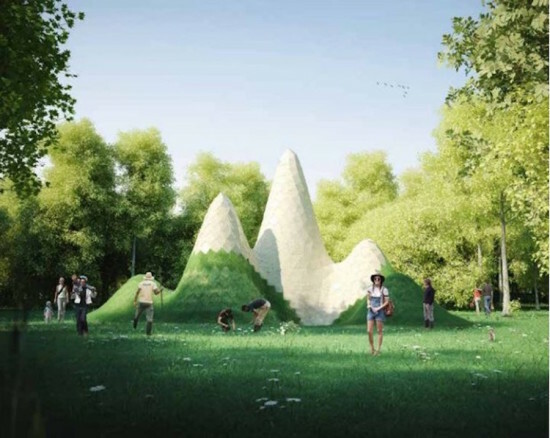 The exhibits will occupy an old landfill and brownfield in Austin within the Circle Acres nature reserve, turning the site into a bizarre outdoor museum teeming with site-responsive sculptures and unforeseen creatures. Here, we take a look at some of the winning proposals to be displayed from November 14–22. 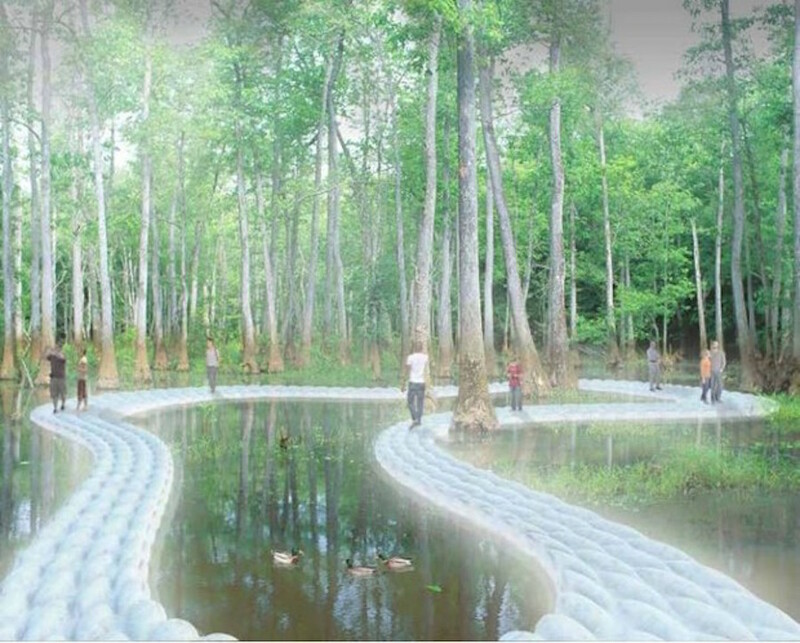 This three-part installation is made of plastic bottles stuffed in bags. 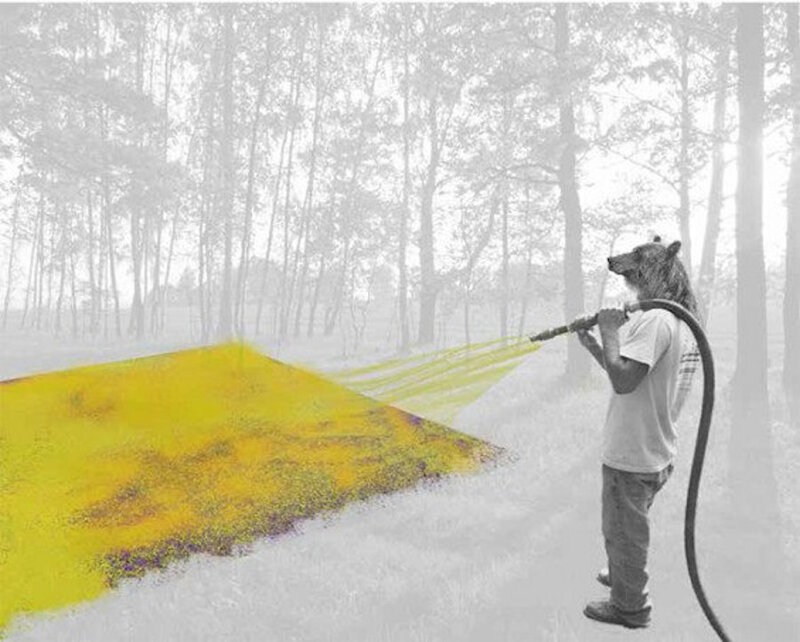 Each piece is specifically designed for either forestland, wetlands, or dry land, and references a different environmental issue, from deforestation to strip mining and microplastics in the ocean, to advance the educational mission of the Ecology Action of Texas. A floating bridge is planned for the park’s wetland area, which used to be a quarry. These disorienting camel humps rising in the middle of a field are an educational commentary about composting. Visitors scan QR codes or use the on-site WiFi to learn about ecological food disposal. Like a LEGO set, it comes with a step-by-step assembly manual and can still function with minimal component parts. Visitors can throw scraps and water into pits within the sculpture and watch them turn into dirt. 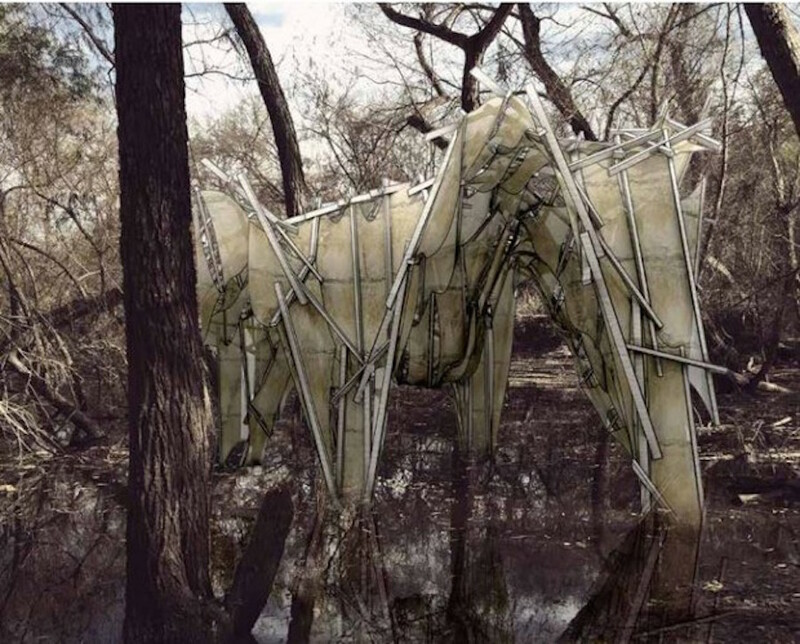 This vaguely equestrian sculpture looms out of the swampy shadows like a guardian angel. Built from a wood frame covered in latex, the sculpture reportedly “glows” and changes appearance throughout the day. 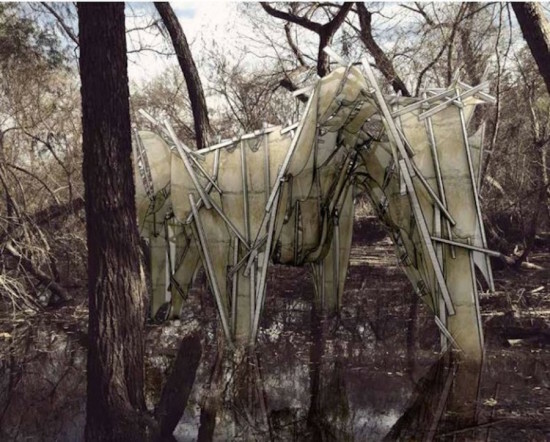 “Through the intertwining of skeleton and mutilated skin, a digitally enhanced structure and its biodegradable latex ornamentation disfigures the form and, in turn, alludes to a new reading of ‘form meets nature’ as the grotesque, the uncanny, and the unexpected,” said the architects. This exhibition bespeaks the proverbial tension between development and preservation. The giant piñatas pay homage to a local family-owned piñata store that was razed in early 2015 by a pair of transplanted property developers in the city’s rapidly gentrifying East Austin neighborhoods. 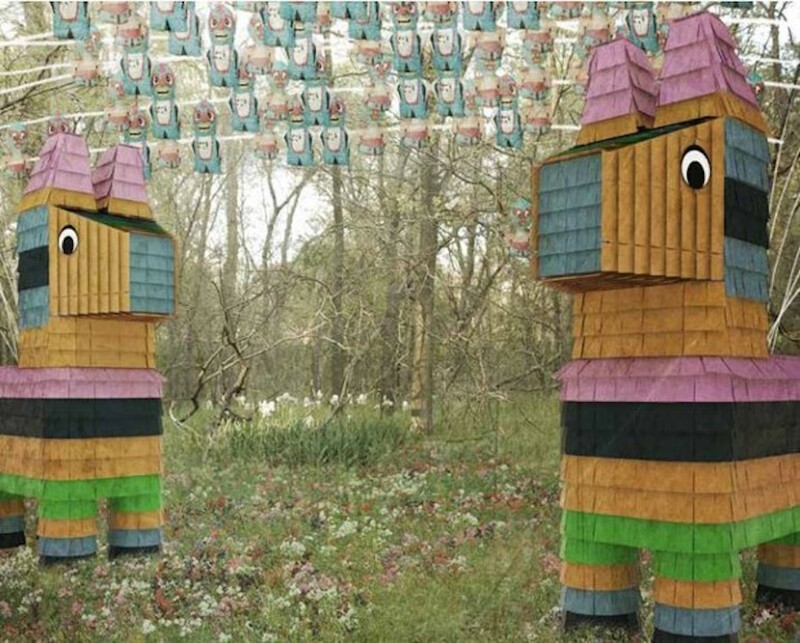 “The low-income and predominantly Hispanic neighborhood of Montopolis”—where the park is located—“will inevitably become another friction point between the development of a ‘new’ Austin and the preservation of ‘old’ Austin,” according to Field Constructs. The design for this short-lived smokehouse riffs on a lone church standing in the Texas barrens, where seasoned grill-masters prepare juicy meats to be consumed with others like at a church picnic. However, folks of all faiths are welcome at this non-denominational gathering.